Call for an estimate on sidewalk repair! Present Coblentz Concrete Construction with a written competitors estimate, and we'll beat it! Call us today for your quote and be sure to ask for Dennis. Coblentz Concrete Construction, in Charleston, SC has been providing reliable service as a professional residential and commercial concrete contractor for over 30 years. We offer various concrete contractor services from general concrete driveway replacement to advanced decorative concrete products and methods. We are a locally owned and operated business and we take pride in making sure that our customers are satisfied with every job we do. We want our customers to call on us for their future needs and we also want them to share our work with their friends and family. Our satisfied customers include everyone from residential home owners and land owners to commercial and residential developers. Each of our customers receives quality service throughout the life of their project. Contact Us Today for Your Pool Deck Repair! Don't let a damaged pool deck stop you from making the most of your pool this summer. Our staff can help you with quality pool deck repairs. Whether there are small cracks appearing or any other major damages to the pool deck, we are equipped with the know-how to ensure the repairs will last long. If you are looking for quick assistance with pool deck repairs in the Charleston, SC area, get in touch with us today. Concrete Driveways and Concrete Driveway Replacement made simple! 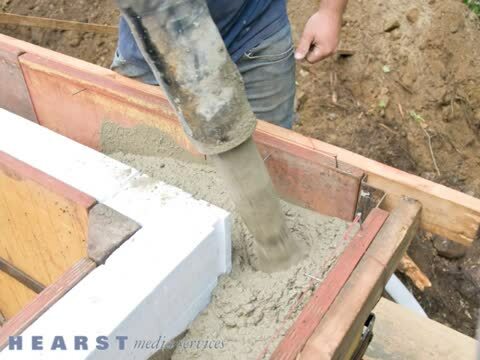 When concrete is poured right, it will outlast any other material used to pave a driveway. With professional installation service from an experienced concrete contractor, we will make sure that the job is done right. It may cost more than other materials such as asphalt, but it will save your money over time, and will look much better as well. If your driveway is old, cracked and uneven, consider having a total concrete driveway replacement and bring your driveway back to life again. Pouring a driveway is not a do it yourself project, especially if you have little or no experience with concrete. Always turn to a professional concrete contractor for your driveway installation needs. Concrete sidewalks don’t have to be plain, gray walkways that go to and around your home. A well made concrete sidewalk can enhance landscaping and curb appeal as well as provide a delightful entrance to your home. There are many options for decorating sidewalks including improvements to already existing concrete. You don’t have to settle for boring concrete sidewalks even if they are several years old. If stamping or exposed aggregate isn’t in your budget, then call us today at Coblentz Concrete Construction to discuss the options for having your sidewalks stained or color sealed. Decorative concrete patios are becoming more popular as the trend of luxurious outdoor living continues to grow. Pavers and wood decks have their place, but patios built with concrete are most often the best and most practical choice. Concrete engraving can be described as the intricate process of cutting or scoring lines into the surface of concrete to create a series of patterns and designs. By engraving concrete, you can give it the appearance of tile, brick, stone, etc. This method is also employed to keep separation between colors if you're painting or staining your surface. If you would like more information about concrete engraving or concrete scoring, call Coblentz Concrete Construction today and ask for Dennis. Have you considered adding stylish concrete steps to the front of your home? While you could certainly repair those worn-out wooden stairs for the umpteenth time, why not shake things up a bit? Concrete steps will impart a wonderful aesthetic touch upon your current property! The largest advantage of concrete is its versatility. Really, our clients are only limited by their own imagination when it comes to shapes, sizes, colors, and textures. From broom finishes and stamped patterns to round or basic rectangles, we can create concrete steps and new concrete pathway options to suit any home or business. In this day and age, it's never been easier to develop the backyard retreat of your dreams! Thanks to our advanced concrete options, clients are able to design intricate pool decks which are both functional and unique. Our advanced concrete pool decks require little maintenance and will outlast most other materials on the market. Have no doubt about it; these surfaces will enhance your outdoor living experience. Speak with a Coblentz Concrete Construction representative today to discuss all of our concrete pool deck options. Of course, even the perfect pool deck won’t stay that way forever. So, when you need pool deck repair, give us a call. We have helped many pool owners in Charleston, SC get their pool decks back in shape. Whether your pool repair project is big or small, we can take it on, and we’ll make sure to exceed your expectations. You’ll be able to enjoy your pool deck for many more summers once we’re done! With stamped concrete, our team is expertly able to imitate other materials such as stone, brick, tile or wood. In fact, our stamped concrete options offer an array of structural and economical advantages which make them incredibly hard to pass up on. Thanks to modern design techniques, stamped concrete can easily be mistaken for the real thing. The strength and durability of these paving materials simply can't be topped! Due to the distinct beauty, versatility, durability, and cost of stamped concrete, this paving material continues to grow in popularity. If you're interested in learning more about this chic and stylish product, be sure to contact a friendly Coblentz Concrete Construction representative today. Our skilled contractors create colored concrete by incorporating striking pigments into the equation throughout the mixing process. This fast growing trend will impart a wonderful decorative touch upon your commercial or residential property. The greatest advantage of colored concrete lies in the even color which is exhibited throughout the entirety of the slab. All concrete eventually chips, pops, or scales on the surface, especially in harsh climates with many freeze and thaw cycles. When this happens to concrete that only has color at the surface, any defects are very apparent because they will be the gray or white color of regular, uncolored concrete. With our colored products however, the color of your surface will always remain true and vibrant. Exposed aggregate concrete refers to a type of decorative finish in which the cement paste on the surface is washed away to reveal the aggregates in the concrete. This form of decorative concrete has been used for ages and still holds much appeal today. Out technicians can beautify your property by administering integral coloring and better sealers to more classic forms of exposed aggregate concrete. Most concrete surfaces will eventually require a bit of upkeep. While ambitious DOY homeowners can sometimes address the minor problems throughout their driveways or patios, it's suggested that you call in the pros for elaborate repair work. if over 25% of a concrete surface is damaged, consult with a concrete contractor for the best repair solutions on the market. Though concrete doesn't last forever, routine maintenance and repairs will certainly allow you to extend the life of your surface. All you have to do is call Coblentz Concrete Construction today, and ask about our pool deck repair, sidewalk repair and new concrete pathway options. Allow our team to assess all your concrete needs and get to work!